You are on this website because you obviously have an interest in Mexico and perhaps are also considering living in the Lake Chapala area? We want to help you. Suggestion: There’s a lot of comprehensive information on this site and it is going to take you a little time to go through it and absorb everything. We suggest that you Bookmark it now so you can come back again easily. The Focus Writing Team are adding content every week. The best way to get notified of new content is to sign up for our newsletter (see sign-up in the side-bar) where we will send out regular notices of new content AND include other news and views not on the website. Start by going through the Home Page. 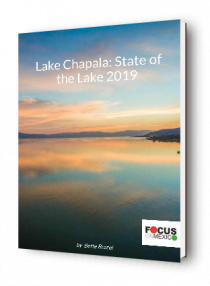 You will get a flavor of Ajijic and Lake Chapala from the Three Highlight Topics just below the main banner. The articles here will also change on a regular basis so come back often for new information. After browsing the home page and reviewing the Focus Program page you are ready to get into the main part of the site with all the information on key areas important to grasp. At the top of the home page, just below the main banner, is the Menu. “Mexico Essentials” has a drop down menu so you can select the main area you’d like to research. You will see that some topics have an arrow on the right hand side. This means that this topic has sub-topics. If you hover over the topic, the sub-topic menu will appear. When you click on a topic, the information will show in the text block below the main banner. You will also notice that, on the right hand side of the text block, a NAVIGATE block appears. This block shows all the topics that relate to the section you are in. This allows you to navigate around the section you are in without having to go back to the home page. Also, any sub-topics will show under the topic heading you clicked so you can get all the information on that topic before you move on to the next topic. Note: In many cases, there are even additional topics under the sub-topics, however you will need to click on the sub-topic to access them. Once you get the hang of using the navigation system you will be able to go to any part of the site to get the information you want with one or two simple clicks. It’s fun when you get used to it. At the very top of the page in the upper right hand corner, you can enter the topic you are looking for in ‘Search’. We Recommend that the first topic you click on is the FOCUS 6-DAY PROGRAM. We offer Educational Tours to Lake Chapala. Under this section you will find all the details about our Focus on Mexico 6-Day Educational Program which offers you the opportunity to get the knowledge and experience you need to make an informed decision as to whether lake Chapala, Mexico is where you will spend the “Best of Your Life”. If you are remotely interested in living in Mexico (full or part time) then this program is a MUST! By the way, we are not the only ones saying that. Check out our Testimonials Page for dozens of reviews by program attendees. The Second section, MEXICO ESSENTIALS, is where you will find information you will find helpful about Mexico and Lake Chapala. It is a big section that will keep growing so, BOOKMARK THIS SITE, so you can do your research over time. Just hover over the Mexico Essentials Menu and the topic drop down menu will appear. Hover over and click on the topic and the Page with that Topic will open. You can click on the topic or sub topic and the information will be shown in the text block. The next sections are, Focus Blog (a chronological listing of posts), and Picture & Video Archives (lots of pictures and videos to explore), Focus Services (what additional services we provide besides our 6-Day Program) ABOUT US (Our background, our people and our belief systems) and CONTACT (you can e-mail or call us on our Vonage lines). Each of these sections work in the same way as the other sections so you can get what you want from the menu’s. 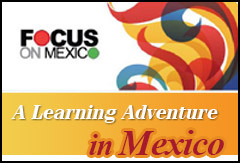 If, when you are going through our site, you have some questions, please go to the “Contact Us” link and send us an email at info@focusonmexico.com . We will respond within 48 hours (usually the same day). If you wish to discuss anything with us personally about the program, please include your phone number and the best time to reach you and we will be happy to call you. We also have Vonage with a U.S. and a Canadian phone number that ring into our home. Please feel free to call us if you wish. Enjoy our site and we sincerely hope you will consider booking on one of our programs. We hope to see you soon in our little pocket of paradise – Lake Chapala, Mexico. Just click on “Subscribe” below in the comments and your email address will be added right away. We are always trying to provide interesting information that gives you a better idea of what it is like to live in Mexico and more good reasons to come on our program. Our Blog Site will provide a more personal look at life in Mexico through “Blogs” posted by the Focus Team; real life events that happen in our lives here in Mexico. We will also include “Blogs” and comments from participants in our programs so you can read about their experiences. You’ll want to bookmark our Blog Site as we will be adding new items on a continual basis. Some of the “Blogs” will be funny, some heart warming, some heart wrenching and they will all be real life events. We’ll see you at beautiful Lake Chapala!